Zipline sat down with Prof. Barbara Kahn of the University of Pennsylvania’s Wharton School to discuss the trends shaping retail. 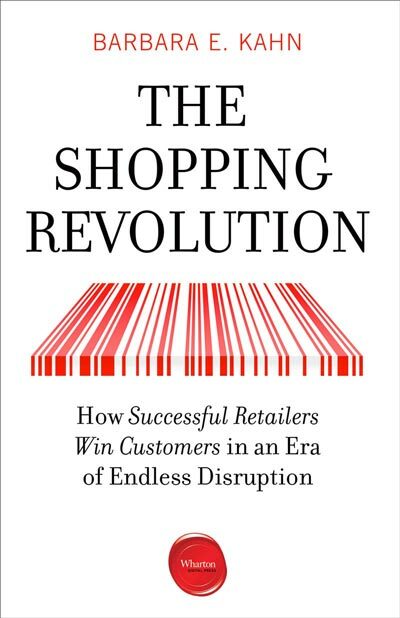 Prof. Kahn is the former director of Wharton’s Baker Retailing Center and the author of the new book, The Shopping Revolution. Please note: This interview does not constitute an endorsement of Zipline’s products or services. What do you think is the single-most interesting question in retail today? We all know Millennials and Gen Z – the digital natives – matter, but we don’t know how they’ll evolve over time. How, for instance, will their behavior change once they turn 30? Will life take over or will they still act the same way they do today? What do you think is the single-biggest threat to retailers today? Amazon, naturally. They’re forcing people to lower prices and play the commodity game. Retailers took a long time to see the threat. They understand it now, but Amazon has been proceeding carefully for twenty years. Who do you think is the most likely to be the next Toys R’ Us? Watch the big boxes. They once put small mom-and-pops out of business by offering a large assortment at a cheap price. Now, however, online retailers offer an even larger assortment at a cheap price, and they offer more convenience. So, what edge do the big boxes have left? Look at Borders, Circuit City, or Toys R’ Us. Online dominates brands like that unless they give customers a compelling reason to keep shopping. By racing to the bottom on prices, are retailers turning themselves into a commodity and playing into the hands of the online players? Absolutely. If you’re going to commoditize your products, you’re not going to win. That’s why the top row of my matrix is to increase pleasure. The trick, of course, is to find something people truly value. What can retailers learn from the CPG world, where shoppers often pay a premium for the right brands? There are certainly parallels. In fact, CPG companies are even confronting some of the same threats. Online players like Amazon are starting to build their own house brands, for instance. If the CPG products aren’t better and if they don’t maintain stronger brand relationships, people will simply switch to the lower-priced alternative. Some brands will survive and others won’t. Retailers increasingly talk about creating a seamless omnichannel experience between online and stores. Who’s doing that well? It’s certainly a trend. Target is investing online and Amazon is opening stores. The ones who have done well thus far are the “Digitally Native Vertical Brands.” They integrate online and offline well because they came from the world of data, whereas the legacy companies didn’t. But these new brands also have far fewer stores, and we don’t know if they can scale successfully. The other challenge with omnichannel is that you have to get data from one place to another. In practice, that means convincing people to use an app. Amazon has addressed this by making people use the app when they shop in their Amazon Go stores. When you’re done shopping, you just walk out. It’s novel, but novelty by itself doesn’t last. Amazon needs to make sure shoppers keep coming back. You’ve floated the idea before that brands should experiment with seasonal stores. Can you explain that more? It’s all about the notion of pop-ups. Pop-ups create buzz and drive word of mouth. They’re not meant to be high sales-per-square-foot. They’re built around the idea of engagement and brand building. That’s even true for those seasonal Halloween stores, like Spirit, that you see every fall. The bottom line is that brands matter to people. You have to let customers know you’re alive and that your brand is strong, because, otherwise, you wind up playing the commodity game. What impact do you think Alexa and other order-from-home tools will have? Many retail analysts think it’s the way of the future. If that’s true, it will have major implications for retailers. Can you imagine if your house could not only tell when you’re about to run out of paper towels, but would order them automatically? That’s a very, very different customer journey. For Amazon, it’s about low price and convenience. They really understand the value they provide to their customer and they’ve built their whole model around that. It’s a simple idea, but a profound one.